The winter months are finally wrapping up and you may have started to get the itch to start your spring cleaning. One of the most satisfying parts of spring cleaning is storing away the winter coats that take up such a large part of your closet. Before you throw your coats in a box, make sure you follow a few tips that will help to preserve your coats while they stay in your storage unit. Your coats are hotbeds for germs, oil, and other dirt and residue. You are definitely going to want to give them a good cleaning before you place them in your storage unit. Check your coat’s tag for specific instructions, but, in general, with wool or cashmere coats, you are going to want to dry clean them. Puffy coats, fleeces, and cotton-based fabrics are safe to be machine-washed. The coats that you are able to machine wash should also be safe in your dryer. Just make sure that you use a low heat setting to prevent shrinkage. Make sure your coat pockets are empty before and after you wash them. Nothing is worse than finding you just washed a pack of gum or a pen with your expensive coat. After clearing out all the pockets, button or zip up everything that you can to help your coat keep its form while in your storage unit. If you have a large number of coats, it is generally a good idea to store similar materials together. Wool and cashmere can be stored together, leather with leather, denim with denim, and so on. This is also a good time to inventory your coat collection to see if there are items you no longer wear. These might be good candidates for donation or sales. If you have the ability, you generally want to store your coats while they are hung. If you cannot hang your coats up, make sure that they are folded at the seams to try to maintain their correct form and to reduce stress on their seams. You are going to want to ensure that your coats do not become damaged by moisture and humidity. 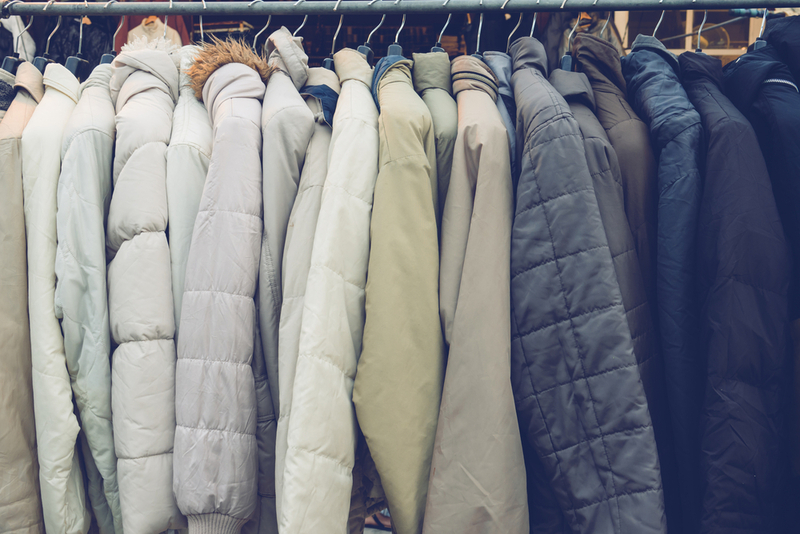 The best way to ensure that your coats remain in an environmentally-controlled area is to rent a climate-controlled storage unit from Affordable Family Storage. If you are looking for some extra storage space for your upcoming Spring cleaning, Affordable Family Storage is the storage facility for you. We have state-of-the-art storage units with climate control, 24-hour security, at the right price. Contact Affordable Family Storage today to learn more.